What’s so great about being a minister 4: the real stuffIn that long ago, barely remembered land when I was a Housing Manager, we used to amuse ourselves by saying clichés and then fall about laughing (we had some slow days…). One of our favourites was ‘There’s nowt as queer as folk’. The phrase is right: there isn’t. But there is nowt as wonderful as folk. You get to realise that everyone has a story and that people who others write off are, as the Good Book has it, ‘fearfully and wonderfully made’. And you wonder: why doesn’t everyone see this? Over the next 3 weeks I will be doing a series of short posts under the title ‘What’s so great about being a minister?’ Week one is the real stuff, week 2 is the wry stuff and week 3…well it may be moans, and shock: honesty. I have never found Faith easy. Sometimes I find myself more defined by my doubts and questions and I run from those who seem too certain. Having said that; you know those moments where people say ‘I cannot see God anywhere, therefore there is no God.’? Most days I am overwhelmed by moments where the Grace of God seems so apparent and ‘real’. I just get to see the glory of the ordinary so many times. People let you into their lives at very precious times, when you have no right to be there. There are the big things: death, illness, marriage, births etc, but it is often the little things: you become a ‘safe place’ for the one off conversation and the moment that is not and will not ever be shared with anyone else. This is the most amazing experience. But you also need good friends/a good spiritual director so when this happens you don’t see yourself as a saviour, but as someone incredibly privileged. You get a stipend, not a wage (although occasionally you still hear the voice in your head and in reality that says ‘we pay your wages’). This means that you are ‘set aside’ to read, to study and to pray. Often you allow this to be squeezed out, but at best this means that you get to read the Bible, wrestle with it, try and hear it. You realise that it is brilliant, flawed, incomplete, a ‘sacred library’ full of dreamers and misfits who dared to trust and often got it wrong. You don’t find it a systematic whole (the kind of phrase that makes something full of life, dead and the territory of angry, mainly men, who want to use it to bash opponents with: ‘Graham you are wrong and let me prove it to you from Matthew 29 verse 15’), a ‘rulebook for life’ or a set of spiritual teachings. Indeed you wonder if anyone who has said any of those things has actually read it. This means that by the time Sunday comes, the whole week has been a kind of therapy session, a grappling with stuff that few others get the time and liberty to do so. And you are profoundly grateful. A friend sent me this picture. It was taken at the ‘Tough Guy competition’, held in South Perton, Staffordshire, last year. Apparently two thirds of competitors do not finish the 12km race. This picture depicts men with wooden crosses. 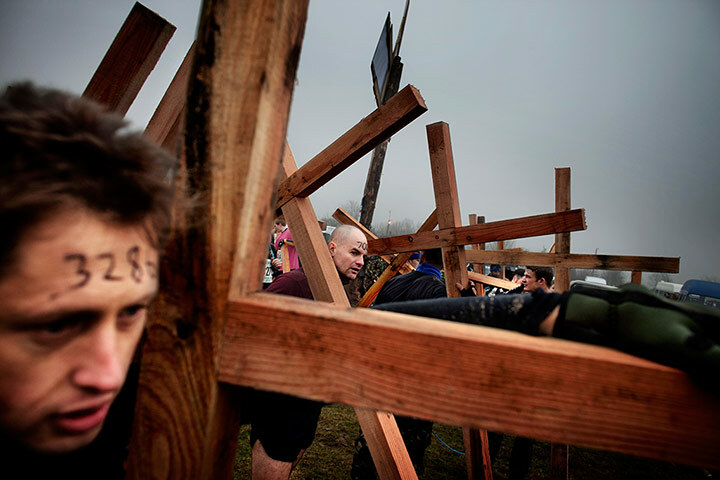 These are for the toughest competitors, called ‘Jesus warriors’. My irony meter went into overdrive as I saw this image; it broke when I heard that they play ‘Eye of the Tiger’ constantly at this event, so I cannot comment any further…. Author GrahamPosted on July 27, 2013 Categories randomLeave a comment on Hmmm…. It is far easier to ‘tolerate’ someone than accept and welcome someone. I would hate to be merely ‘tolerated’ and I have been in situations where it felt like that, but O to be welcomed. I get updates in my RSS feed from quite a few blogs. Someone I follow blogs his sermon every week(http://bigcircumstance.com): it is the only preaching I ‘hear’ in the average week . This last week, he included a précis of a Tony Campolo story I had heard a long time ago. I had forgotten how good it was. I used to read a lot of Tony Campolo when I was first a Christian: in the mid/late 80s it was unusual to find an American sociology professor who was left wing and a practising Christian (as a left wing politics undergraduate and a newish Christian, I used to find the unthinking knee jerk right wing views of many student evangelicals depressing). It was more unusual to discover much later that Campolo was one of Bill Clinton’s ‘spiritual advisors. This is the story, quoted from http://bigcircumstance.com/2013/07/20/sermon-a-servant-psalm/. I liked the story when I first told it as it was recounted without the braggadocio that even then I used to associate with some speakers. Tony Campolo has travelled from his home state of Pennsylvania to Hawaii and is on jet lag. As a result, he finds himself in a diner at 3 in the morning. The only other customers are a group of local prostitutes. He hears one, named Agnes, say that the next day will be her birthday, but she also says that she has never had a birthday party in her whole life. At the weekend, I went briefly to a church that was doing a fundraiser for a prisoner support project and a mental health support project (that at least should question the lazy response: churches just raise money for themselves). People had turned out to organise it at a peak time on Saturday, donating their time and money (many churches still do incredible home made cakes). I was still thinking about this as I left another church on Sunday and saw the box in the porch for food donations to a local foodbank: something that happens every Sunday. I cast my mind back a week ago when a church was running a community funday. A friend asked me how it was funded; ‘People will give to support this’ I said. I then watched him struggle to understand how people would give money; their own money, so a community could come together. All of this is on top of money that people in churches give to keep their churches open and support Christian workers. I would have to say that the vast majority is given with minimal expectation that they will see any benefit coming back to themselves. I know churches have flaws; I am not naïve- but the thing is, I do not see this pattern of giving, this wide variety of giving, generally replicated in any other organisation or group of people. 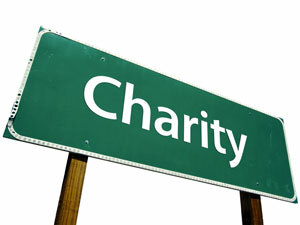 For many of those involved, it is not just charity; many are involved in seeking and advocating for justice as well. And I am humbled and grateful…. 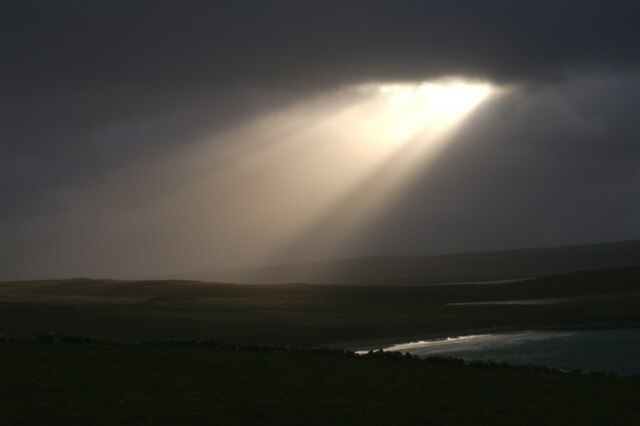 Sometimes you slog away and you are not sure if it is worth it: shafts of light are few and far between. But sometimes your breath is taken away by something you didn’t expect. NB: the person is watching on fb…so please leave comments! Rant alert!! Right, when you say to someone yes I believe in God, yes I’m a Christian they automatically put that label on you, the I have to watch what I’m saying, the oh my days they’re crazy! And in my opinion the worst, the they are perfect. We are not perfect! None of us are! The only perfect human being ever was Jesus Christ Himself and saying we’re prefect puts so much pressure on us! shouldn’t be doing that, we all make mistakes but its repentance that counts! If you are truly sorry and God sees that then he will never ever hold a grudge! Because he’s amazing!! Being a Christian is not about being perfect, it’s about appreciating what God has given us, in our lives and in His son, it’s about not being perfect and believing God can sort your flaws and make a mess into a master piece! He gives us so much, he really has to me, I have a great family and an amazing church family who will always protect, look after an be there for me. Right, rant over!